[6 mins. 40 secs.] Lois Vossen, the Executive Producer of "Independent Lens", is the first guest. A new season of the PBS documentary series begins tonight with a 10:00 ET broadcast of "Chasing Trane: The John Coltrane Documentary". We discuss the history if the series and what's coming up in the new season. [55 mins.] Then I'm joined by Satya de la Manitou who, along with his old friend & confidante, Dennis Hopper are the subjects of Nick Ebeling's new documentary "Along for the Ride". Director Nick Ebeling also joins us. 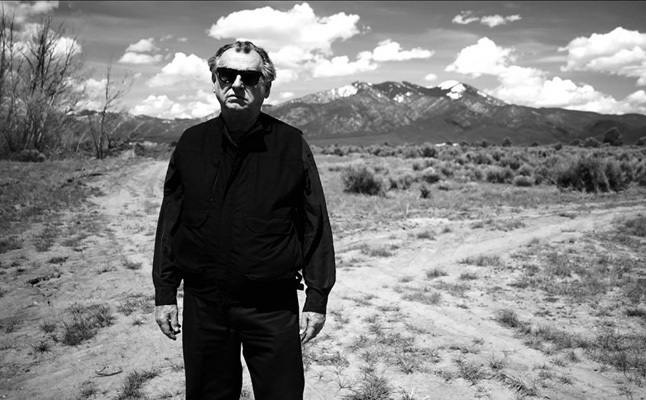 Method actor, filmmaker, art collector, and all-American madman—the many sides of Dennis Hopper are explored in Nick Ebeling’s remarkable documentary, which draws heavily from the testimony of Hopper’s burly biker buddy and right-hand man Satya De La Manitou. Moving through the triumph of "Easy Rider", the magnificent self-immolation of "The Last Movie", and a midlife comeback after plenty of booze and brawling, "Along for the Ride" is a vivacious work of film biography with a freewheeling style that’s only appropriate to its anarchic subject. The film is currently screening in NYC at the Metrograph and will be screening theatrically in LA and elsewhere as of December.